Jumio, Inc., the fast growing mobile credentials management company, today released Netswipe for Mobile Web, the next version of its award-winning Netswipe card scanning technology that is designed to improve the customer experience and increase conversion rates for purchases made on connected devices. Netswipe was previously available for native apps and desktop websites. Today’s release expands Netswipe’s availability to mobile websites, allowing customers on all platforms to benefit from a faster, easier way to input their credit card information. Jumio’s proprietary computer vision technology brings speed and ease-of-use to credit card entry and ID verification processes. By eliminating 60 seconds or more of key entry time from each transaction, conversion rates increase an average of 30 percent. Netswipe is developed to meet the needs of merchants, allowing them to control the user experience on the all-important checkout page, a key differentiator in the industry. Netswipe extracts all information from the front of a payment card, including the cardholder’s name, 16-digit card number, and expiration date, leaving consumers only to enter their CVV code, taking entry time down to mere seconds. 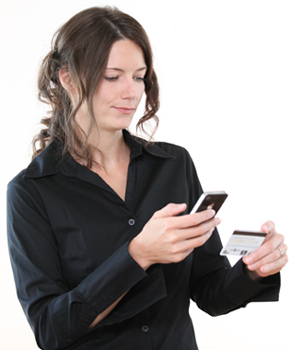 Jumio pioneered credit card scanning, utilizing smartphone and desktop cameras to streamline the payment process. Netswipe works with seven different card types and is now available for mobile web for iOS and Android, as well as native apps, and desktop. It is a fully supported offering with client integration services, a client dashboard with metrics, access to card images for use in chargeback remediation, and continual upgrades that expand the feature set and card reading speed and accuracy.